DELIGHTFUL Lee Wetherington 3-bedrm. 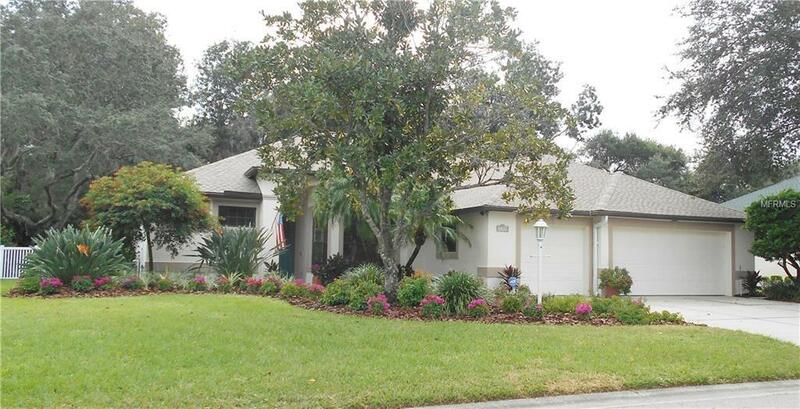 2-bath pool home w/3-car garage in popular Rivers Bluff in Lakewood Ranch. Ready for a new family this lovely home features a separate diningrm w/bay window, a spacious kitchen w/closet pantry, Corian countertops, gas stovetop w/convection oven & microwave. The kitchen joins the comfortable familyroom w/ 8 ft. sliders to the lanai. Engineered hardwood flooring accents the familyroom, living room, dining room & master suite. The 2nd & 3rd bedrooms feature carpeting. All kitchen appliances are stainless. Dine off the breakfast bar or the charming dinette overlooking a quiet patio. Off the master suite is a bonus room perfect for a nursery, office, den or library accented w/French doors onto the lanai. The master bath features a Jacuzzi tub, dual sinks, large separate shower & linen closet. The master bedrm features his & her walk-in closets. Crown molding accents all rooms and they all lead to the refreshing 26x13 saltwater waterfall pool w/solar heat for year round use. Pus a new roof in 2018! The perfect home in the perfect location w/all types of shopping at your fingertips. 30 minutes to downtown Sarasota...35 min. to world famous sand beaches....& 15 minutes to I-75.